And other major spare parts also available in stock. 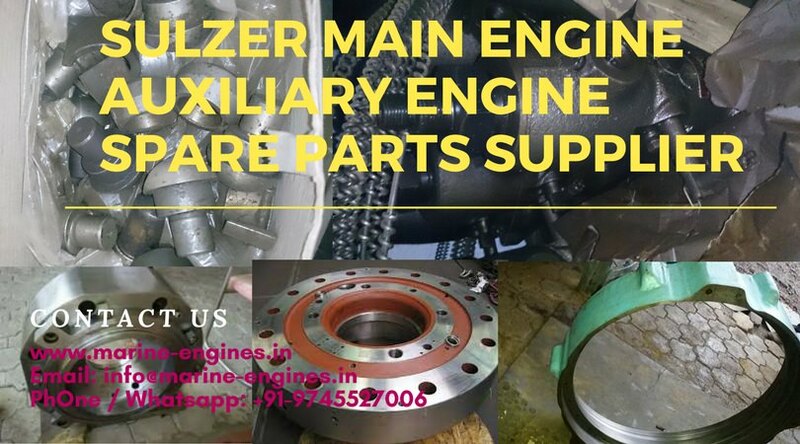 We also supply all type Sulzer RTA series engine spare parts. 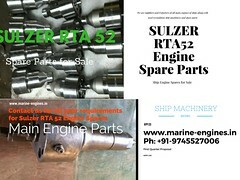 We supply all type Sulzer RLB Marine Motor parts. 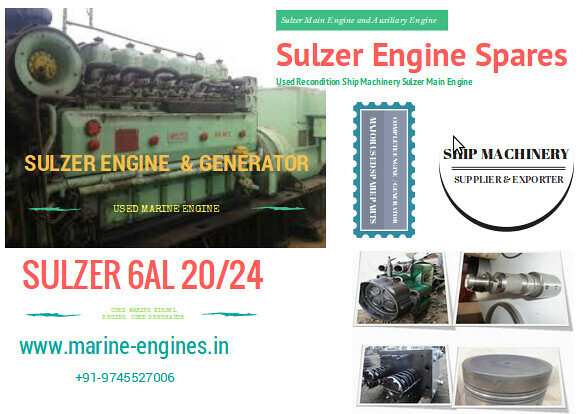 We maintain regular stocks for used and unused spare parts required for ships main engine and auxiliary engine of Sulzer make. 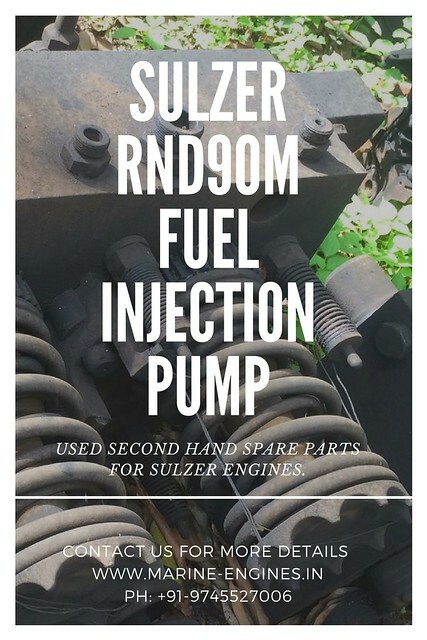 Sulzer RND series spare also is supplied by us. Mainly available spares are used and reconditioned supplied by us with proper testing certificates. These are few parts listed here. 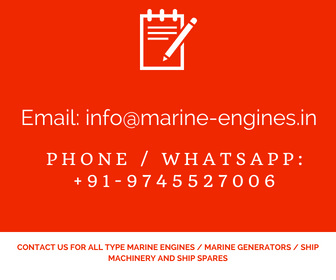 Interested customers are requested to submit their complete list of required spares. For more details so write to us. We source and supply used recondition and unused spare parts from ship recycling yards. All spare parts are OEM, tested and genuine parts and exact match. Sulzer RTA 52 motor spare parts supplied are genuine OEM parts which are tested by skilled professional engineers. 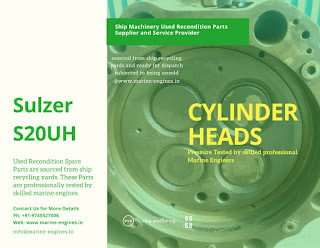 Sulzer RND / RND 90 / RND 76 / RND 76M Marine Engine. Freight Charges will be extra and as actual. Special discount for complete available lot purchase. 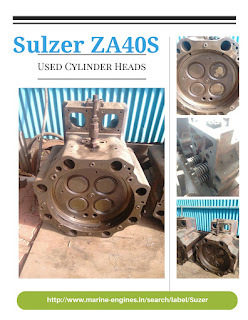 Suppliers of recondition cylinder heads. In stock available standard size crankshaft for Sulzer 8S20UH engine. The parts supplied are genuine and pressure tested. 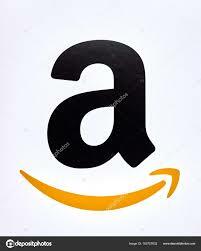 Interested customers do contact us for price and availability along with shipping terms. The cylinder head is removed from Original Sulzer Engine at ship dismantling yard. Ready to dispatch, in stock and subjected to being unsold. Interested customers do contact us for more details.